It’s no secret that I am not a fan of this Saturday’s royal bride, Meghan Markle. Oh, I’ll still watch the wedding (of course), but I’ve long expressed doubts about her suitability and judgment, and not always in the politest of terms. But upon reflection, I need to articulate that my concerns are less about her as a human being, and more about what her addition to the British monarchy means as an historical event. You see, I am a huge fan of the monarchy as an institution. I have read and studied so much about it—as far back as the lines go—and find it both unique and special. I also know what it means, or should mean, to the people of the United Kingdom—and to the world. Centuries ago, kings and queens were considered to be set apart from the rest of humanity. They were presumed to be divinely chosen and ruled by Dieu et mon droit (God and my right), as the motto still goes. That divine right was an important feature as, in times long past, it gave the sovereign a nearly sacred status. Everyday Britons were to trust and believe in their ruler for that reason alone. Divine right was a stratagem for keeping power, and it worked. But there was another reason to cite the divinity of the Crown. Because the ruling monarch often had to send soldiers into battle, justification was needed to motivate and inspire men to fight. Bringing God into the matter kind of settled things once and for all, one should think. Fast forward to World War I. By this time, the whole divine right thing has been pushed over a bit with the evolution of society. But King George V and his wife—my very favorite Queen consort of all time, Mary of Teck—recognize that they still have to send troops into battle and keep them motivated. They begin doing some of the things we recognize so well in today’s royal family. Walkabouts. Formal addresses and appearances. Lots of honorifics and awards. They knew then that the value of the British royal family is as an institution to help motivate and support the people. When soldiers are asked to give their lives for “God, Queen and Country,” the “Queen” part of that should merit the sacrifice. Thus, the monarchy remains an institution apart. It should be unflagging and strong and consistent, rather like the Church. It’s supposed to be a trusty moral example to the nation. At the death of George V in 1936, we see the abdication of Edward VIII, who wanted to marry a (gasp) twice-divorced American woman. Then, in 1953, Princess Margaret is prevented from marrying a divorced man, Group Captain Peter Townsend. All consistent with the rules and beliefs of the monarchy and the church. Hold onto this point…I’ll come back to it in a minute. Now it’s 1992. Commoner Sarah Ferguson (“Fergie”) and aristocratic Diana Spencer are married to the Queen’s sons, Andrew and Charles, and trouble is brewing. In August, Fergie’s photographed in a compromising state with another man and things boil over. Princess Margaret (who herself chose the monarchy over love) wrote a note summing things up neatly: "You have done more to bring shame on the family than could ever have been imagined.” Prince Philip reportedly still refuses to be in the same room with Fergie. But the real drama is yet to come. 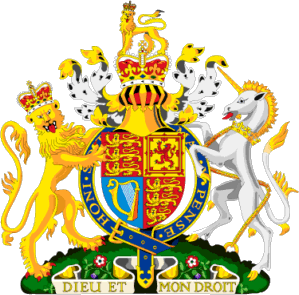 Despite her many charitable acts and good deeds, Diana seems to have the idea that her life, hopes, and dreams are more important than the longevity of the British monarchy. She leaks audiotapes, does a tell-all interview, and tries to smear her husband—and the Palace—in the media. The Crown has yet to fully emerge from the massive amounts of damage Diana did—Prince Charles may never do so. Quite honestly, I haven’t fully recovered either. Every time I read an adoring article in the media I grimace a bit. What a spoiled, foolish young woman Diana was—her own celebrity seems to have become more important to her than the Crown she was bound to serve and promote. I’m cool with William and Kate. They seem to get it—they appear to know what the monarchy is, respect it, and follow all the rules to ensure its continued survival. I can see them doing a walkabout in a bombed-out war zone and inspiring others, just as their predecessors once did. So, after all that, I’m FINALLY on the topic of Meghan Markle. She’s a divorced American celebrity who obviously had a messy childhood, if the last few days have been any indication (I do feel sorry for her on that count). But she has refused to follow some of the basic rules of royal etiquette, baring her shoulders and wearing messy hairdos to events. She shows no public deference to her royal fiancé, walking in front of him and signing autographs like she’s at a press junket for her TV show. Queen Mary turns in her grave. People have suggested she hasn’t had time to “adapt” to her now role, as Kate was presumably trained for years while she and William were dating. I disagree. Meghan is a celebrity, has walked many red carpets, and—if she’s as smart as people say—this stuff isn’t hard. I think the problem is deeper than that. The monarchy is now beginning to exist on two levels—(i) the deeply-rooted, nearly sacred institution, and (ii) the new, celebrity-obsessed, Kardashian version. I believe Meghan is almost entirely reared in the latter. It’s not a stretch to see merit in her family’s claims of social climbing. She’s climbed clear out of her own nation and will stand before the eyes of the world this weekend. The question is this—what will she do down the road? As a big fan of the first type of British monarchy (the old, sacred one), I fear for it—as I fear for all institutions—in a society that’s evolving away from the common good and toward the self. Many folks seem to want to get rid of the rules that hamper them and feel mistrust for the institutions that are there to serve them. Nobody is humble any more. The Church. Government. Nonprofit organizations. All are struggling for volunteers, money, and public trust. And all are losing ground. The Monarchy stands to be the latest victim of a society that is “everyone for him/herself” rather than one that looks to make sacrifices for others. Edward VIII and Margaret made sacrifices that are long forgotten and mocked as archaic. Diana wouldn’t and yet she’s honored as a heroine of the British people. It’s all upside down, and it’s not likely to get better. I read with a chill royal biographer Andrew Morton’s view that Diana had died at 36, and now here is a 36-year-old woman named Megan Markle stepping in to pick up where she left off. Saints preserve us. Diana did her utmost to destroy an ancient institution and did a tremendous amount of damage. What on earth will Meghan Markle do? I fear she will make Fergie’s acts look modest and temperate compared to the drama that’s coming. When I look at Meghan Markle, I see continuing public damage to the British monarchy, and the end of a society that makes sacrifices to help support the needs of the public good. It’s heartbreaking to me, and that is why I dislike her so very much.